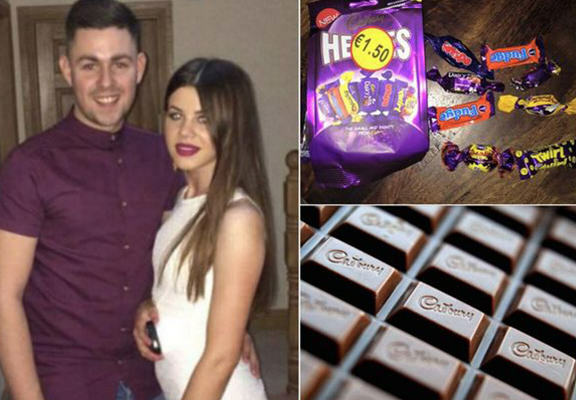 One dad-to-be has won the internet after writing an incredible letter of complaint to chocolate giants Cadburys. 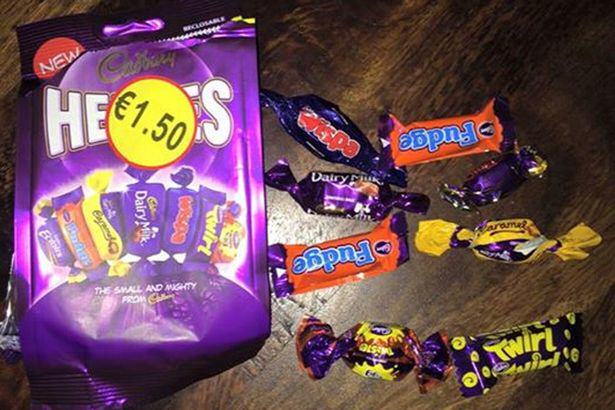 After seeing his girlfriend disappointed with her selection of chocolates, he decided to let Cadbury know, but in the best possible way. 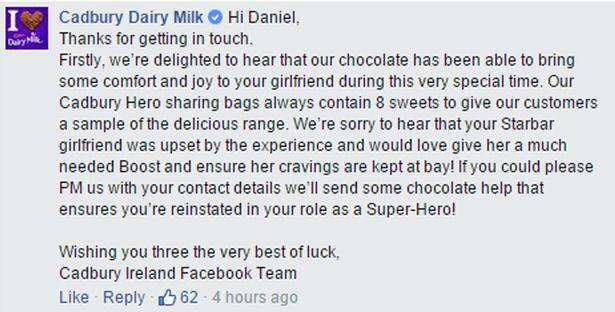 So good was David Nugent’s letter, that he actually received a reply – and the promise of some free chocolate. 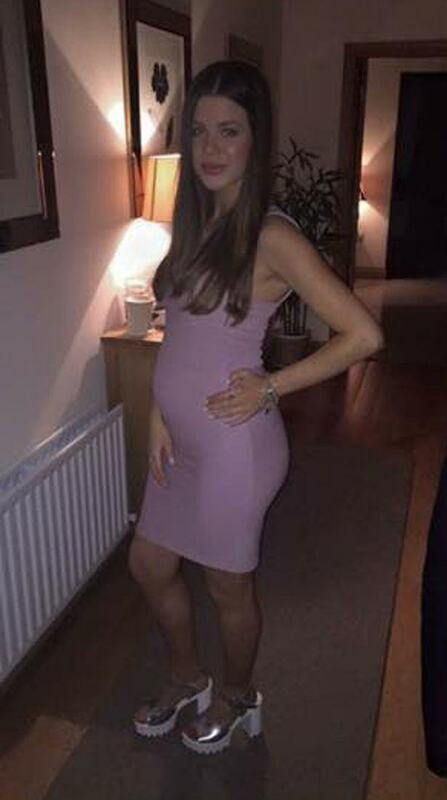 To my friends at Cadburys, Let me begin by telling you the story of a pregnant woman. Until it was discovered that my darling girlfriend was carrying our first child, she had no real inclination to eat much chocolate. That all changed in March when we became blessed with child (not at all a scary prospect, honest) and ever since her tooth has become just as sweet she is. Considering that she had been so adverse to most of your products previously, it took a while for her to settle on a favoured treat once the cravings kicked in. So I did my best to show her what was on offer. I suppose it’s to be expected that a heavily-pregnant woman can get a bit Flaky, but when I took her out for a Picnic she gave me a Snack in the mouth after taking a Chomp on the chocolate provided. I just didn’t know what would really do it for her and push her Buttons. I tried to buy her a bunch of Roses to make amends but there was no joy. Then came the breakthrough when, by sheer luck, we discovered Heroes. She found what she had longed (chocolate) for and so did I (peace and quiet). And so to today, and why I am writing this status. With our baby due early in the New Year, the pregnancy has become more uncomfortable and cravings more severe. Today was not a good day for my girlfriend. She needed comfort and she needed chocolate. She needed a Hero. I thought I would be just that when I stopped into the shop on the way home to pick up those six little soldiers (Fudge, Caramel, Dairy Milk, Wispa, Twirl and Twisted). I strode through the front door, chest out like a Spanish matador, but when we peeled back the packaging on the Small and Mighty and poured out the contents, I then felt as if I was dangling a red flag in front of a bull. As you can see from the attached picture, there were just eight pieces inside. Now I’d like to think I’m an easy-going and reasonable kind of fella, but that’s a major let-down. Until this Heroes fiasco has been resolved, I fear we may have to take a Time Out from purchasing any more of your products. I only wanted to be a Hero. Please send help. Yours in chocolate, Daniel Nugent.